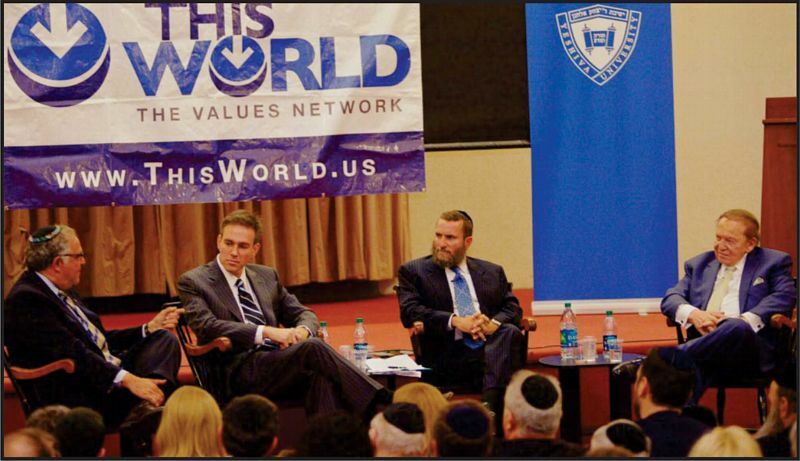 From left: Yeshiva University President, Bret Stephens, Wall Street Journal columnist and Pulitzer Prize winner, Richard Joel, Rabbi Shmuley Boteach, and Jewish philanthropist, Sheldon Adelson, Offered Solutions to Challenges of Jewish Survival. Photo: Omar Flores. Rabbi Boteach with audience following the panel. Photo: Omar Flores. The discussion focused on solutions to these issues on the heels of a recently released Pew study on Jewish continuity. 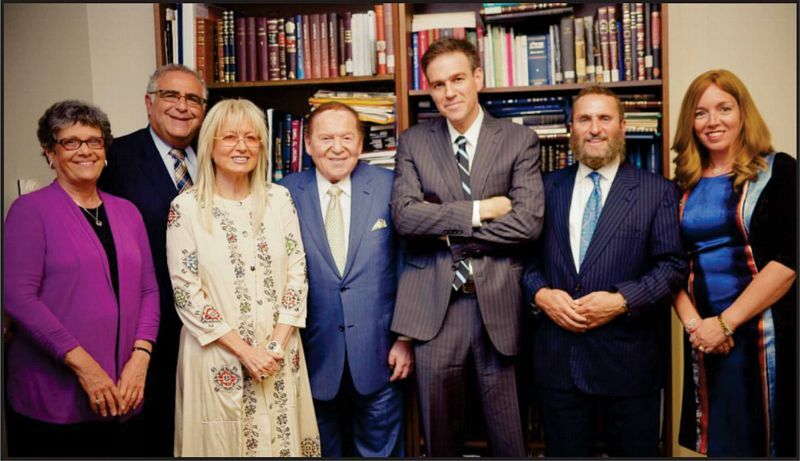 That study revealed devastating findings that point to the fact that American Jews are falling away from Judaism and affiliation to the Jewish community. Among the results were a nearly sixty percent intermarriage rate, a decreased synagogue affiliation and, shockingly that a third of all Jews light a Christmas tree. Shifting topics to Iran and the threat to Israel, Adelson said that President Obama’s current diplomatic relations with the country is “the worst negotiating ploy I could ever imagine.” He added that we are negotiating out of weakness and warned against trading land for peace and said that he is opposed to the creation of a Palestinian state based on the example of Gaza and how it had become a Hamas terror state. Wall Street Journal columnist and Pulitzer Prize winner Bret Stephens agreed on the opposition to a two-state solution, adding that he would agree to a two-state solution if the other state is Canada. More than nine-hundred people attended the evening panel, which served as an important dialogue to raise awareness on the issue of American Jewry. About This World: The Values Network: This World: The Values Network is built around the teachings of Rabbi Shmuley Boteach, “America’s Rabbi,” and his passion for bringing Jewish values to mainstream American culture as a way of fighting genocide, healing and strengthening families, diverting society’s focus from material greed, and inspiring children to emulate caring, compassionate relationships. The Network’s renowned lectures and broadcasts--featuring world personalities and leaders--religious services, web site, and published columns cater to an international audience. 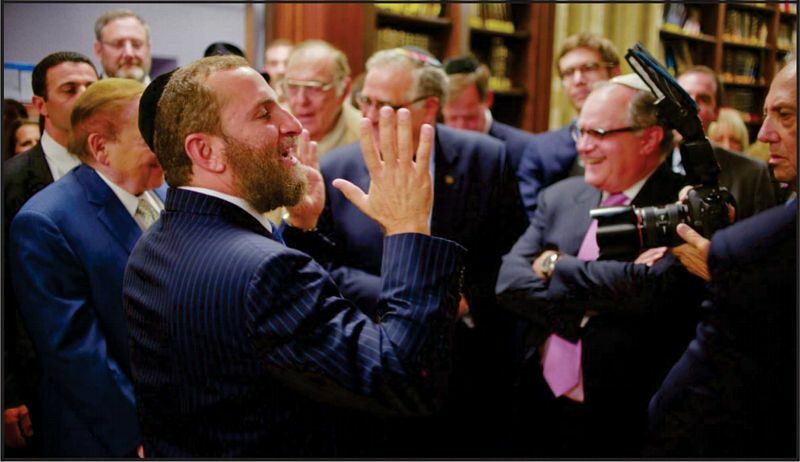 Its goal is to inspire more people to eloquently convey Jewish values in print and on the airwaves to both help America heal some of its greatest ills and to inspire Jewish youth with the power of its ideas.